Phil Karn has located his long-lost EV1. VIN#660 - the car he had to give back to GM in 2000. 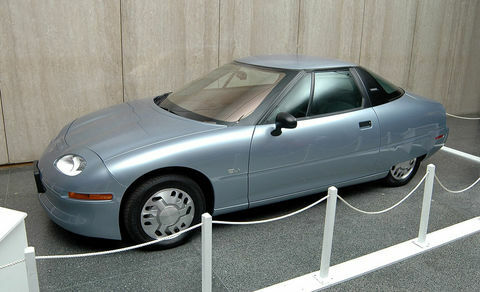 It WAS the fully-functional vehicle on display in the Smithsonian Museum of American History. Also see Phil's page. Put on display March 2005, removed from dispaly in June, 2006 - the same month that the movie Who Killed the Electric Car was released. Read more on this here.